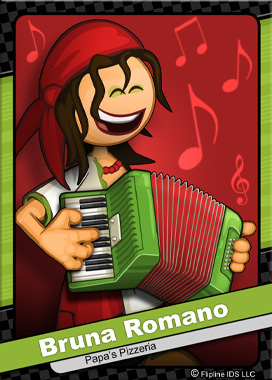 Bruna Romano is the feisty accordion player and lead singer for the Romano Family Quartet. She is also the band manager who successfully books all the gigs and heavily promotes the band. Bruna single-handedly organized the massive Manicotti Mandolin Tour which spanned twelve cities in 12 days.